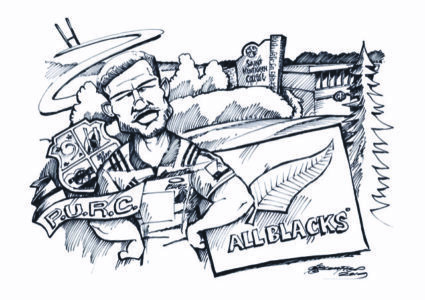 Blomfield (Darren Blomfield) latest cartoon following news the Blues and New Zealand Rugby have landed two key player signatures with All Blacks Dalton Papalii and Patrick Tuipulotu committing their immediate futures to the Super Rugby side and NZR. Twenty-one-year-old loose forward Papalii (featured in the cartoon) – out of the Pakuranga United Rugby Club and Saint Kentigern College – made his All Blacks Test debut on the Northern Tour last year. He has extended his stay at the Blues to at least 2022, while co-captain and lock Tuipulotu has committed for a further year until the end of 2020.